Burley presents BEAUTIFUL THING by Jonathan Harvey in the Reginald Theatre, Seymour Centre. BEAUTIFUL THING was written by Jonathan Harvey in 1993. He went on to win, the following year, the JOHN WHITING AWARD for that play in 1994. The play has had numerous productions, around the world, for the last 20 years. One can see why this is so, in this devoted production, directed by Brandon Martignago in the Reginald Theatre. 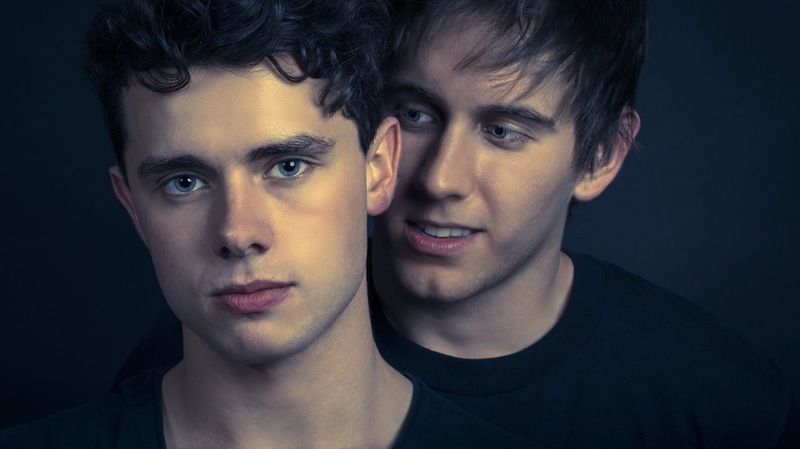 This is an affecting telling of the coming of age, and acceptance, by two young gay boys of their sexual difference - one 15, Jamie (Michael Brindley) and the other 16, Ste (Luke Willing). And though living on a housing estate of low-rise apartments, in an environment of dysfunction and possible danger - single parents, adult alcohol and drug dependency, physical, verbal and emotional abuse and homophobic bullying - these two young boys/men find sanctuary in their own burgeoning sexuality. It is a love story. What is surprising is the simple storytelling and relatively uncomplicated situation these boys find themselves in and that Mr Harvey, affectionately, wraps in comedy. The drama of the underprivileged world is a background to the foreground of this innocent romantic tale.That the flower of love blooms in this environment is a great part of the joy of the watching. The simple, delicate duet scenes between the boys is ballasted with three other stories of that beautiful thing - love. Young Jamie's mum, Sandra (Amanda Stephens Lee) in her battle to survive and provide, leads with a heart and, finally, head full of optimism and unconditional love. Ms Lee relishes the opportunity of the role, the quick one-line zingers and the humanity of the woman is given a delicious, fully fleshed drawing. Her new and temporary partner, Tony (Andrew Hearle) is also charmingly drawn with deft understatements of characterisation - a very generous performance. Paralleling the boys growth is that of another neighbour, Leah (Stephanie King), a bewildered wild child finding her own way in the dangerous world of her discovered sexuality. Devoted to Mama Cass, of the Mamas & the Papas, the lyrics of her songs become a compass, of sorts, for Leah to find a path through this new world. Ms King seizes her opportunities to play. Still, the success of the play hinges on the performances of the boys, and Mr Brindley and Mr Wilding manage to find the gangling physicalities of these two boy/men and the broadly innocent love raptures of first infatuation/love without any false expressions of lust or embarrassment. They are totally immersed in the journey of the characters and the audience breathe empathy and hopeful support to their every gentle exploration. The two young women sitting beside me were vocally enraptured and bewitched by every step of Jamie and Ste's relationship. The audience responded enthusiastically and warmly. These two young actors are simply good in their delicate simplicity. All the performances reveal great credit to the guidance of Mr Martignago. The production is simple and naturalistic, and sits on a solidly recreated landing of a down at heel apartment estate. The costumes reflect, nostalgically, the early 1990's and both are designed by Jasmine Christie. The Lighting design by Benjamin Brockman serves the scene locations admirably, and, what is not to like in the Sound Design by David Stalley when Mama Cass features so often. This is another Mardi Gras 2013 production and is totally charming. This play in 1993 was undoubtedly a welcome relief to the community, gay or otherwise, in its romantic tone so contrasted to the cauterising and brilliant ANGELS IN AMERICA presented in 1991 & 1992. These two plays lie at opposite tempers of response to the cruel atmosphere of the 1990's, but their quality writing have given them, both, the status of classics. We saw Mr Harvey's 2010 play, CANARY at the New Theatre, February, 2011 as part of that year's Mardi Gras Festival. I enjoyed myself very much at BEAUTIFUL THING.